Flat Rates & Great Service are What We Do! Pro Delivery, LLC is your reliable less-than-load trucking company, serving Houston, TX and the contiguous United States. Our fleet contains a variety of trucks in varying sizes, backed by experienced, courteous drivers. We have experience delivering a wide range of loads, including industrial pipes, oil tools and other heavy hauling materials. We offer free estimates for the majority of our deliveries for your convenience. When your freight falls short of a full load or requires special transport parameters, turn to the reliable professionals at Pro Delivery, LLC. For more than a decade we’ve been the go-to trucking company in Houston, TX for hot shot trucking, LTL deliveries, heavy hauling, flatbed shipping and more. Our specialty is LTL trucking and no job is “too small” for us to take on! We make it a point to never turn clients away and always work with you to discern the best logistical approach to facilitating a smooth delivery. With more than 50 drivers on staff and an entire fleet of vehicles, we’re ready to roll 24/7. And, best of all, we’re competitively priced to earn your trust and your business, with no upcharges for fuel, weight or pipe racks. 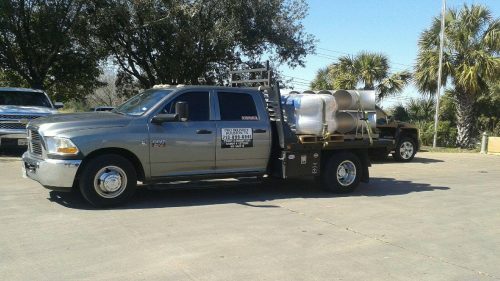 Customers come to us for flatbed freight delivery and hot shot trucking in Houston, TX because we go the extra mile when it comes to customer satisfaction. Not only will we work with you to determine a timeline and honest rate, we also answer questions and provide proof of delivery (POD) quickly upon request. Even our drivers are immeasurably personable—we frequently have clients that contact our drivers directly, to cultivate a healthy standing relationship! No matter what industry you’re in or what the nature of your freight, trust that we’re ready to work with you in every feasible way. We’re a fully-licensed and –insured trucking company, giving our partners full peace of mind in working with us. We offer free estimates on a wide range of delivery services, including LTL trucking. We have the ability to offer same-day service in Houston, TX and the surrounding local areas. Our customer service is unbeatable! We strive to always provide quick responses to questions and proof of delivery (POD) when requested. Our fleet contains pick-up trucks with pipe racks, small and large stake beds, 40ft mini floats and 18 wheelers, for your convenience. Need pickup and delivery for a light load? Trust the LTL trucking experts at Pro Delivery, LLC! From same-day delivery to hot-shot trucking, we do it all. Contact us today for a free quote. Locally owned and operated hot shot trucking company in Houston, TX serving the entire United States. "We began using Pro Delivery this summer. They quickly became my go to delivery service. They are fast, reliable and friendly. What I really,..."